For the first time in Israel, a gas station has become an architectonic work of art. Its location in a dense and crowded urban area, and its challenging size – only one dunam (1000 m2), made a unique statement that changed the prevailing perception regarding the planning of gas stations in Israel. 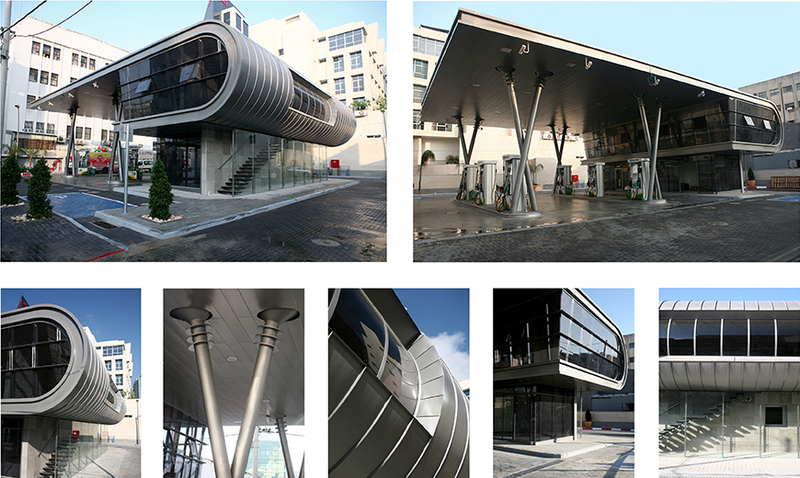 For the first time, a gas station was designed where the roof of the station is connected to a building, creating a homogenous and stylish complex, by using advanced technologies and materials, adhering to the new standards of the Ministry of Environment for gas stations located in an urban area. The inspiration for planning the solar power tower was a steam turbine and its disassembly into components. The programing concept centered around the electricity production process, combining the absorption of sun rays by mirrors surrounding the tower and turning the heat that accumulates in the top part (boiler) into steam, using the latter to operate the turbine which in turn, generates electricity. The wrapping of the outer part of the structure is designed in a lace pattern giving its size a sense of lightness. 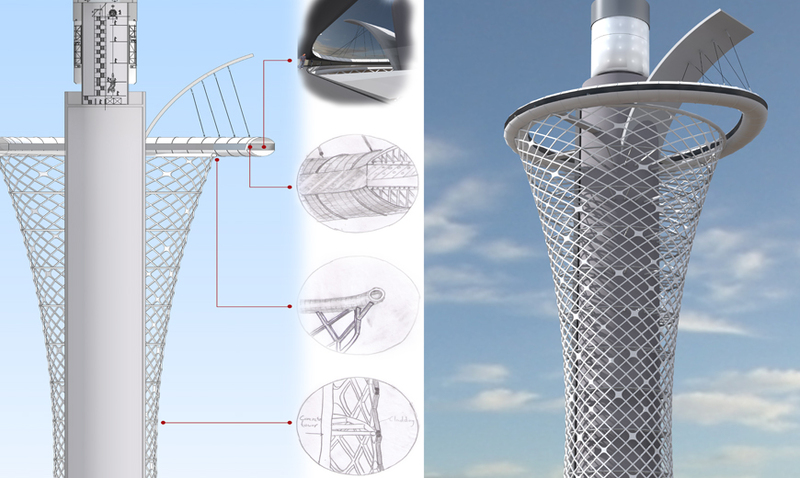 A ring-like structure is designed at the top part of the tower which serves as a view point that circles the structure and from within it is possible to see the line of mirrors sown at the site. The outside of the structure and the view point create an architectonic structure like an environmental statue that is an important environmental focal point, impacting on its surrounding, yet also fitting into the un-built surroundings, as an urban structure.